Hatkesh Engineering Solar Lantern is available in various models. we are offering CFL base Lantern as well as LED base Lantern. 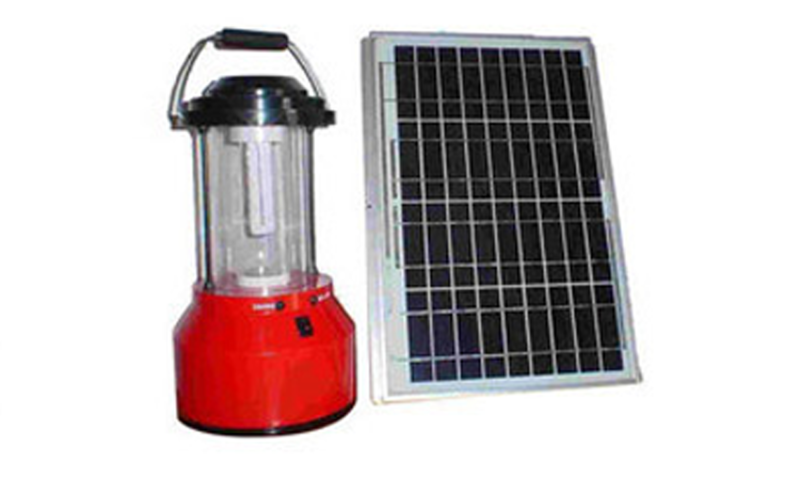 Solar Lantern is very much useful in rural areas and road side markets. We are offering two types of Solar Lantern one is of 12V, 7Ah battery with 12 Watts Solar panel, which is useful to glow 8 watt CFl bulb3-4 hours daily. Second model is of 6V, 4.5Ah battery with 10 watts Solar panel which is useful to glow the 5 Watts CFL bulb for 2-3 hours daily. We are also offering LED base lantern with 6V ,4.5 Ah battery and 10 Watts solar panel. It is very useful where only small light is required. It can run the LED for 5-6 hours daily. All the models having inbuilt charge controller for the protection of Battery as well as Solar Panel. The Solar Lantern is very user friendly and robust body. It is easy to carry from one place to another place. you can charge the battery anywhere by fit the cable. Looking for Solar Lantern manufacturer in Gandhinagar, Solar Lantern supplier in Gandhinagar ? Contact Hatkesh Engineering for Solar Lantern exporter from Ahmedabad. Inquire at hatkeshengineering@gmail.com or call at 9898105579, 26461285.